Finally! We began the process of becoming certified by Hunter Douglas to be certified hard wired motorization specialists almost two years ago. While it should not have taken any where near that long, we had to wait for space in the very few classes held in that period of time. We are now only one of two dealers certified to sell and install hard wired treatments from Hunter Douglas in New Hampshire. We can work with your AV company to automate your treatments with any of the popular smart home systems including Crestron, Lutron, Control 4, Zigbee, etc. 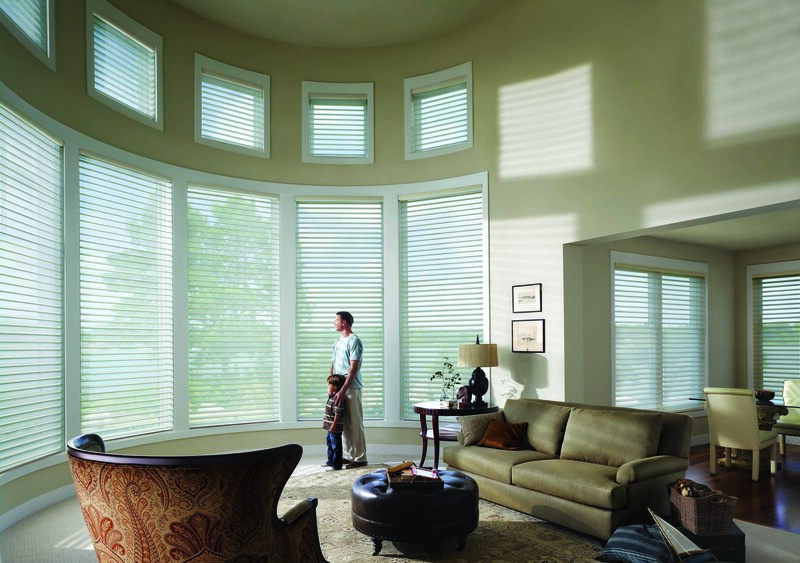 Most Hunter douglas products can be automated including Silhouette, Duette, Provenance woven shades, Designer roller shades, Vignette roman shades. Whether you have a large number of windows to control, or hard to reach openings, your treatments can be controlled by a remote, a wall switch, timers or your automation system. Office buildings can control and alighn all window shades so that they are only don when needed for sun control. Visit our showroom to experience the many options available in motorization including the Platinum App for I-Pad from Hunter Douglas. You can operate your shades from anywhere in the world!